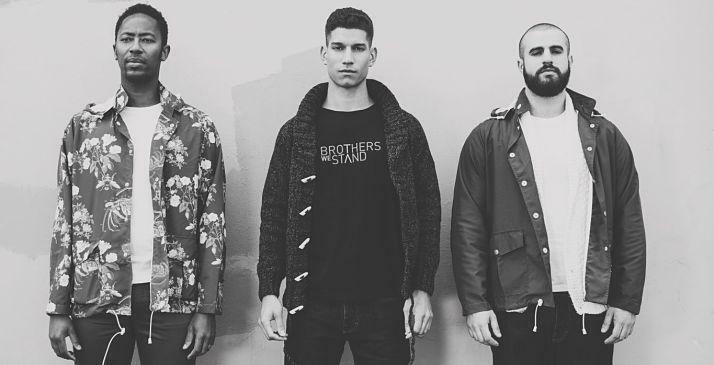 _ New e-tailer sells exclusively ethically produced menswear through an innovative online platform that allows customers to see the social and environmental ‘footprint’ of every item._ East Londoner Jonathan Mitchell has launched Brothers We Stand (BWS), an online ethical men’s clothing retailer. He is seeking to provide an alternative for the consumer dissatisfied with fast fashion and its questionable practices. The site aims to give men easy access to a wardrobe of stylish and sustainably made clothes. Every product on the site has a ‘footprint’ tab explaining its social and environmental impact. In an impressive show of transparency, both the strong points and the areas for development are shown. For example, the footprint tab of the Musa x Paradisiaca Organic t-shirt explains that the product was made in a wind powered factory in Tamul Nadu, India, where workers are treated well and given fair pay, a medical room, free lunches and recreation space. The ‘areas for development’ section of the tab explains that although the stringent Global Organic Textile Standard means that cotton pickers aren’t exposed to harmful chemicals, and that all cotton farms are independently audited, it does not directly measure the working conditions of the pickers. In this way, the positive aspects of production are celebrated without ‘green washing’ the areas where there is genuine room for improvement. Shoppers are thus given a transparent window into the product’s supply chain. Founder Jonathan Mitchell explains that the pursuit of true sustainability is an ongoing journey, but all the items sold by BWS are already flying well above the mainstream. Each item must be leading the way in either its social or environmental impact, and the BWS Standard requires high design, quality and labour standards to be met. Jonathan believes that BWS can demonstrate the potential of business to address some of society’s biggest problems. He says, “I’m convinced that it is entirely possible to create brilliant products in a way that respects both people and planet. There’s no reason why the next Apple can’t be built on sustainable principles. In fact, that’s exactly what the world needs right now. Brothers We Stand seeks to show what is possible, and I ask people to get behind us. Together we can show that a sustainable future is achievable.” Ethical fashion has gained momentum in recent years and the Rana Plaza disaster in Bangladesh, which killed more than 1100 people, has further increased public awareness of the need to protect the welfare of garment makers. Fashion industry insiders, academics, members of the media and the public are pushing the ethical fashion agenda with campaigns such as Fashion Revolution Day - an annual call to action on the anniversary of the Rana Plaza disaster. By providing an accessible way to shop ethically, Brothers We Stand offer you an opportunity to act on your values and be part of catalysing the fashion industry to uphold its responsibility towards people and planet.